One person may feel like true balance in their life is doing yoga for 2 hours everyday. But if their best friend says that’s a waste of time and that she would rather get some overtime at work, internal conflict occurs. We are human and as a result we innately want to be accepted. As a result, we compromise, accept, and put our blinders on to what touches our souls. It’s important to realize that by doing this, we’ll never find what we are looking for. Similarly, we will never find our true sense of balance living this way. Just to be clear, I’m not advocating becoming a loner however, I am challenging you to reflect. What problems are really mine and what problems have I inherited? By asking yourself this and writing it down, I’ve discovered that many of the issues that bogged down my energy weren’t even mine! Whether it was something that was passed down generationally or I took on because I felt bad for someone, at least 30-40% of my anxiety came from others. Isn’t that crazy? Do you feel like you are absorbing other’s negative energy? Check out a few tips here on how to stop doing that. What do my months typically look like? For many years I tried to plan out my days based around this “fantasy world” approach to life. Lies about waking up consistently at 5:00 am everyday to work out. Another thing I told myself is that I would meal prep every Sunday for the entire week. Also, that my son and I would spend time at the library everyday. If we are being real, things never happened that way, at least not consistently. Besides that, my 5:00am turned into 9:00am (only twice a week) because I stayed up too late the night before trying to spend time with my husband. I usually ended up working on Sundays which caused me to lack the energy to prepare 40 meals for the week. And sometimes, I don’t want to go to the library! By really taking the time to recognize what my natural flow was, I was able to lessen the amount of anxiety I experienced. Recording my mood and energy levels daily to see if there were any visible patterns was key. I noticed that I accomplished more early in the month and early in the week. I began to plan accordingly. Now, all of my super-fulfilling activities are done between the 1st-14th of the month and I jam pack my Monday, Tuesday and Wednesdays of those weeks. Do I even like doing this? I can’t tell you how many times I hear about people doing things “out of habit”. I kept my hair shoulder length or longer out of habit even though I felt like it occupied too much of my time. Therefore, I cut it. Now I feel more balanced. If it’s not anything that is going to benefit you or if you have outgrown things, it’s ok to stop and let it go. Don’t let your yesterday determine your today. Everyday is a new day! 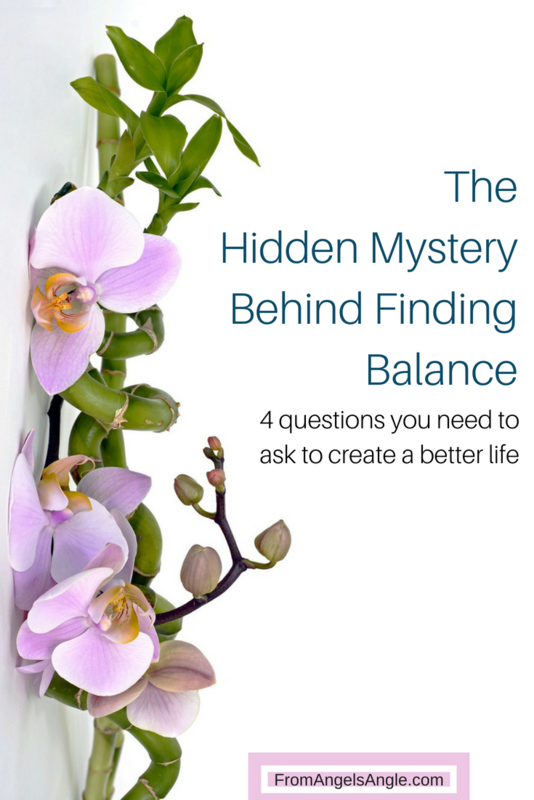 Is there something I can add to my life to create more fulfillment on a daily basis? Maybe you don’t need to work out for an hour at 5:00am every morning. I’ve discovered that walking at 8:00pm at night adds more to my health than I could have imagined. Don’t eliminate all the sweets in your diet. A better approach might be a Gourmet Chocolate and Wine Night with a few of your girlfriends. Above all if you remember to focus on the good, the bad will move to the back of the line. Before you know it you won’t even be thinking about it, you’ll be fufilled! Lastly, a place I like to visit is Zen Habits to create more opportunities for balance. How do you achieve balance? Do you believe balance exists? I’d love to know what you think! This article is fantastic! Such an eye opener! 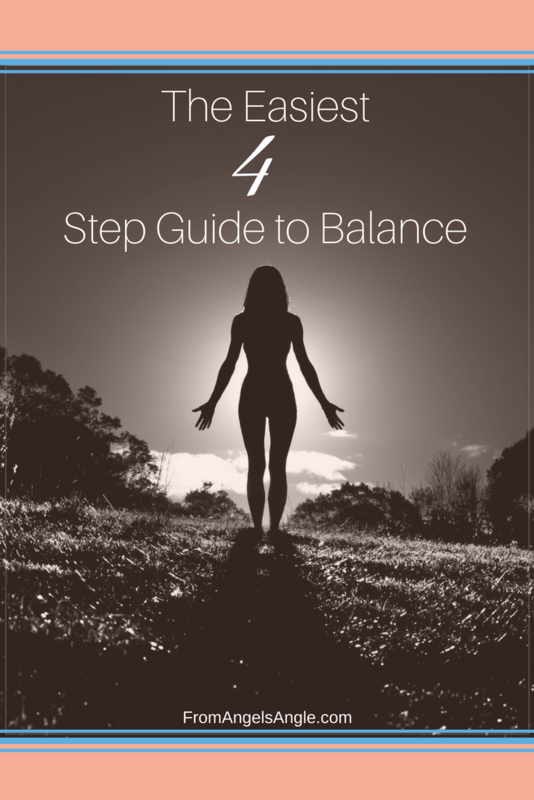 Finding balance takes consistent effort everyday. I hope that these tips create new ways to think about finding it! Great tips! Great article!! Thanks for the info. Thank you, Alex. Hopefully some of these tips are helpful to you! Thanks for stopping by!